Copper Canyon Press, 9781556594328, 85pp. Lisa Olstein's third collection reverberates with twinned realities: wonder and terror, beauty and difficulty, celebration and lament. 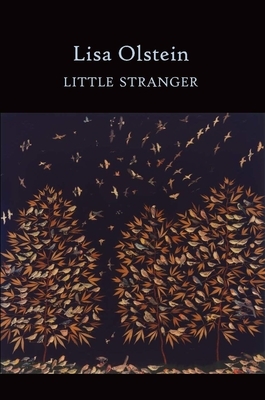 Through encounters with science, war, art, animals, and motherhood, Little Stranger explores the exigencies of close attention, the tenuousness of attachment, and the ever more rapidly shifting nature of knowledge. Intimate lyrics, elegies, and narratives speak in voices familiar yet strange. Lisa Olstein's debut collection of poetry, Radio Crackling, Radio Gone (Copper Canyon Press, 2006), won the Hayden Carruth Award, and her second volume, Lost Alphabet (Copper Canyon Press, 2009), was named a "Best Poetry Book of the Year" by Library Journal. She lives in Amherst, Massachusetts. Lisa Olstein's debut collection of poetry Radio Crackling, Radio Gone (Copper Canyon, 2006) won the Hayden Carruth Award, and her second volume, Lost Alphabet (Copper Canyon, 2009), was named a "Best Poetry Book of the Year" by Library Journal. After receiving her BA from Barnard College, Olstein lived in Greece and studied at Harvard Divinity School before deciding to pursue an MFA at University of Massachusetts Amherst. She currently serves as Associate Director of MFA program for Poets and Writers at University of Massachusetts Amherst, where she cofounded the Juniper Initiative for Literary Arts & Action and is a contributing editor at jubilat. She lives in Amherst, Massachusetts.